Wednesday of Spring break we went downtown with some friends. 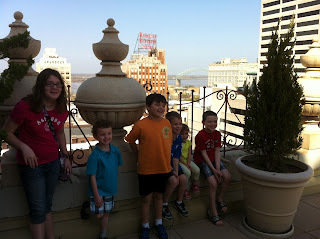 We started at the Peabody, watching the ducks then going up to the rooftop. 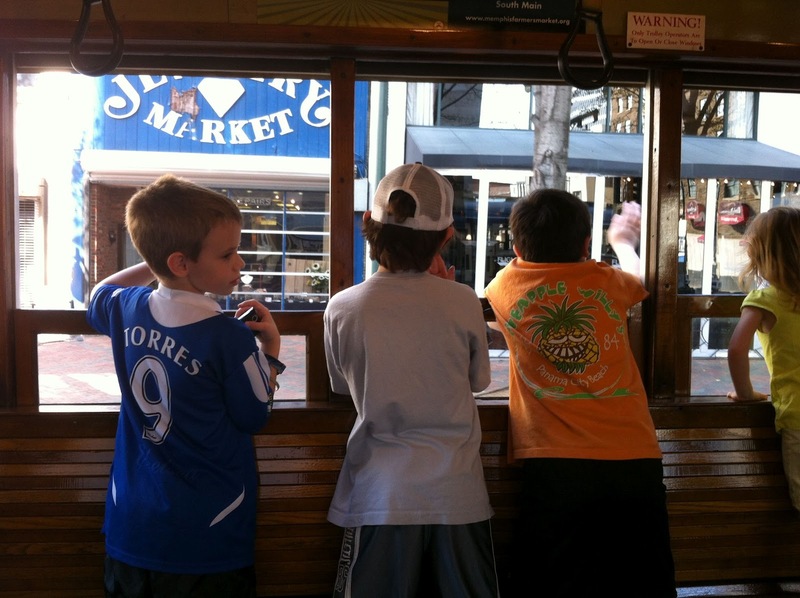 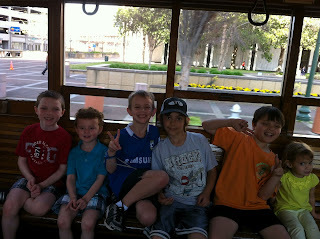 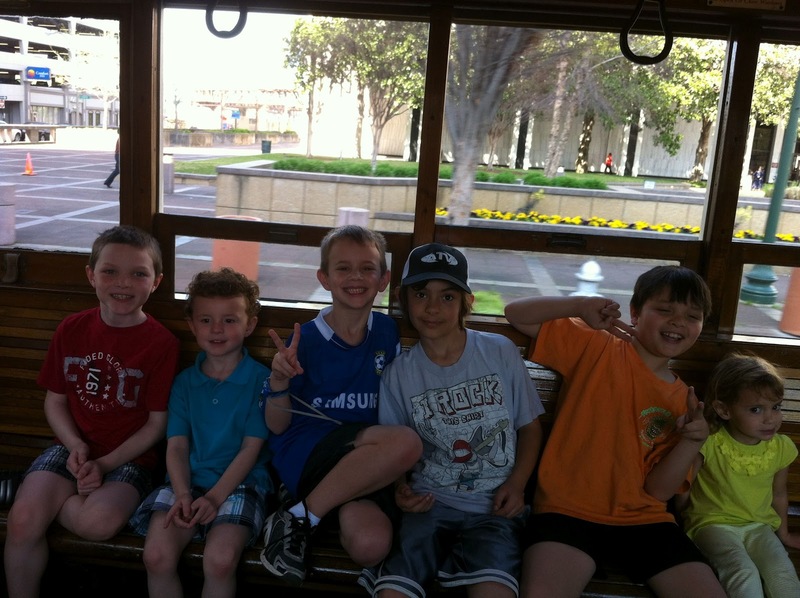 Next we rode the trolley on the riverfront loop, the kids had fun waving and saying hello to all the people passing by. 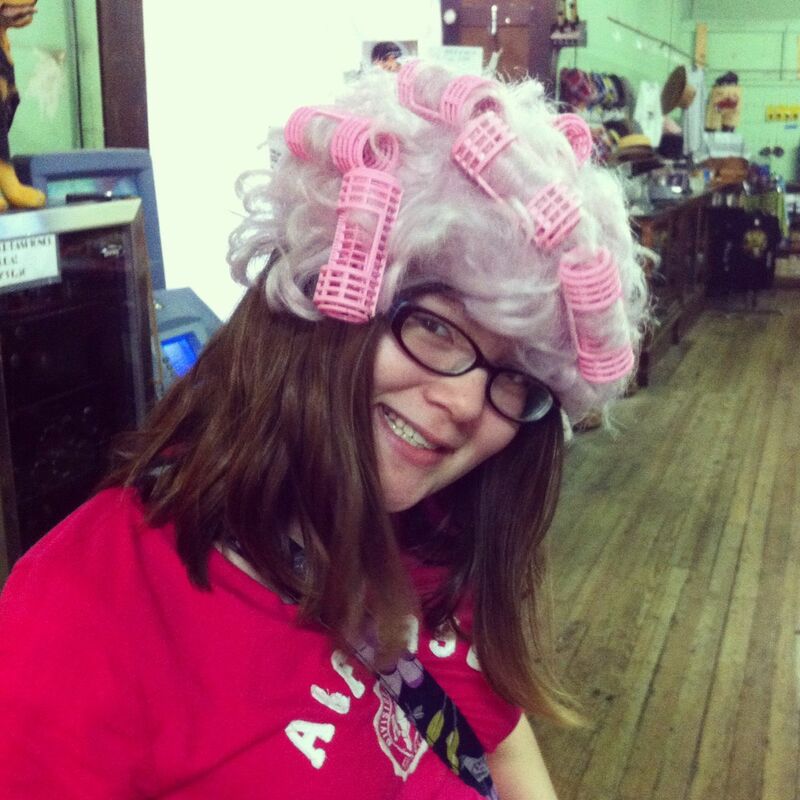 I'm sure all the business people just loved that. 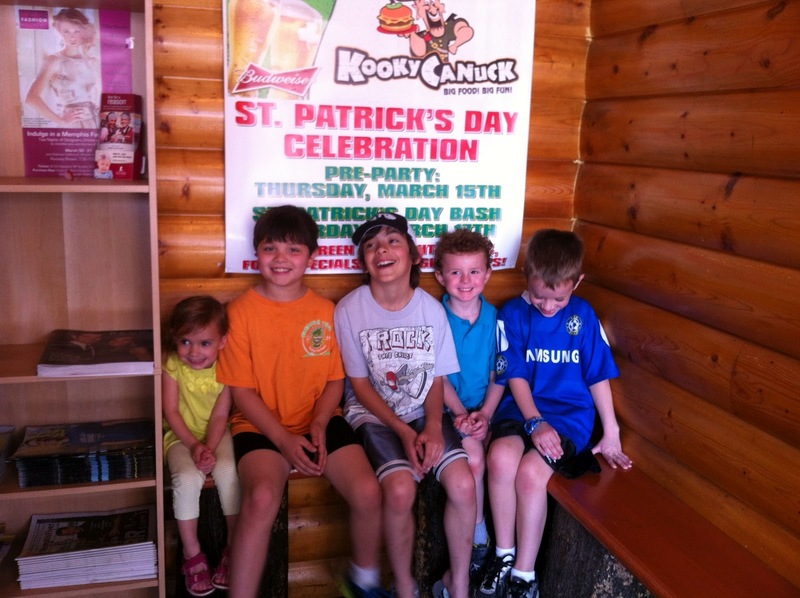 Then we went to Kooky Canuck for lunch. 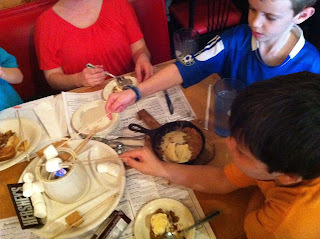 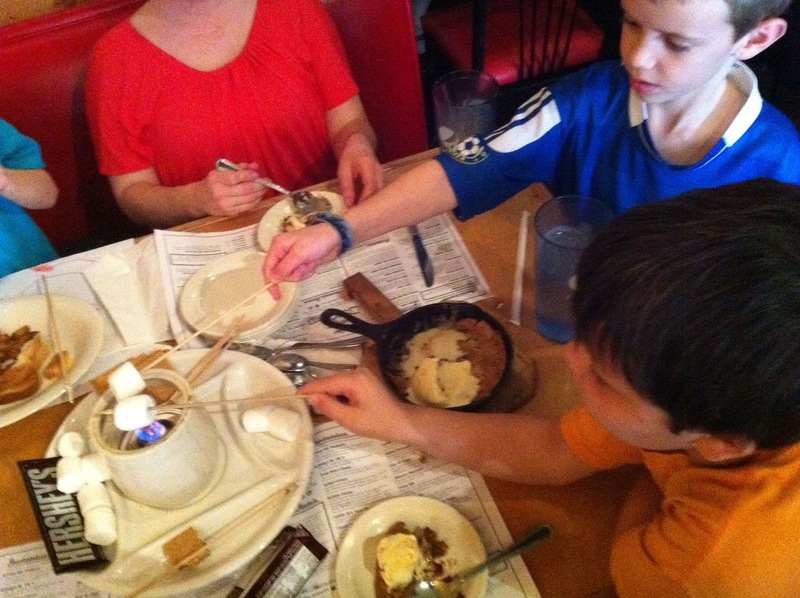 We of course got a skillet cookie and even got the s'mores. Then we walked on Beale st. just for a little fun. 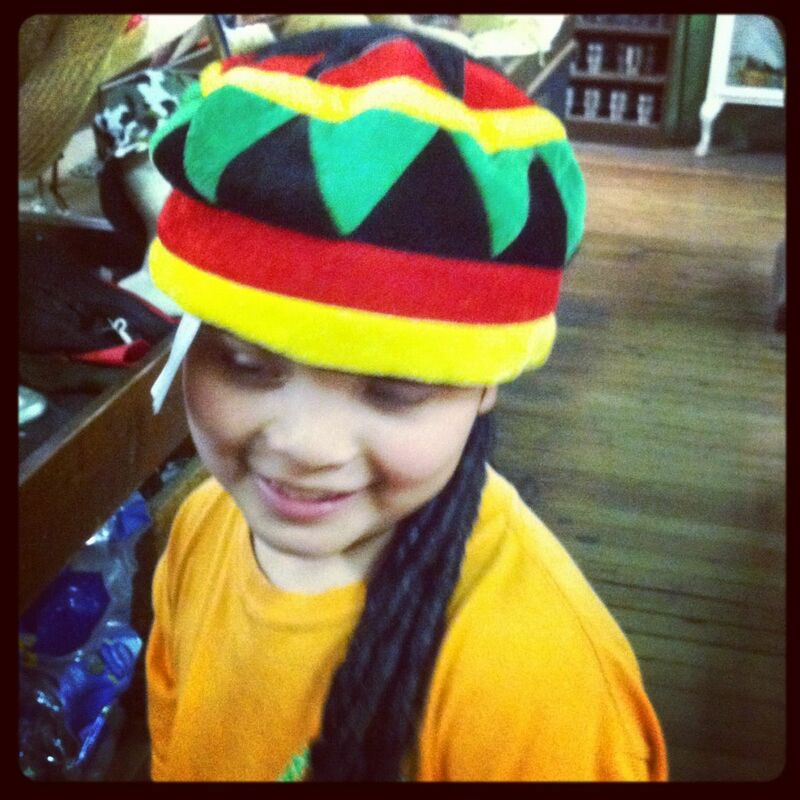 We went in A.Schwab and tried on some hats then it was time to go home to rest before Kyle's basketball party.